With strong organizational skills and a desire to help people, it’s possible to work in the upper echelons of healthcare as a manager, administrator or executive. Online health service degree programs prepare individuals for successful careers in private medical practices, clinics and other healthcare facilities. This guide provides an overview of available degree programs and the steps involved in securing a job in this growing field. Before enrolling in a health sciences degree program, prospective students must first consider all of the options available to them. Whether their interests lie in nutrition, healthcare management, or another area within this field, it’s important for prospective students to find a school that offers their desired concentration and level of study. 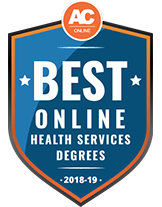 Taking into consideration factors like cost of enrollment, class size and program count, we have listed the top health sciences degrees and programs that are offered both online and on-campus to help students find the right school. Check out the top options for the 2018-2019 school year below. Students who wish to earn an online Bachelor of Science in Health Services Administration may do so at the University of Central Florida. By completing this 120-credit-hour degree, students can learn about the managerial aspect of the health care field. After graduation, students are prepared to land entry-level positions in hospitals, medical group practices, home health care agencies and other types of health care organizations. Students will also be ready to earn advanced degrees in health services administration or related disciplines. Independence University offers a Bachelor of Science in Health Services Management that can be completed online in as little as 38 months. This degree is intended to prepare students to pursue careers in health care management. Students who enroll in this 180-credit hour program can expect to take business- and medical-focused courses such as Medical Terminology for Health Care Professionals, Principles of Marketing and Introduction to Pharmacology. After graduation, students often work in hospitals, clinics, long-term care facilities and other health care environments. Brigham Young University-Idaho offers its students the opportunity to earn a Bachelor of Science in Healthcare Administration online. This degree, which will soon become certified by the Association of University Programs in Health Care Administration (AUPHA), consists of 120 credit hours and prepares students to pursue careers in management or administration at hospitals, nursing homes, rehab facilities and other types of health care settings. Students can also opt to further their education and earn a master's degree in health care administration, hospital administration or business administration after completing this program. At University of Alabama at Birmingham, students may enroll in a Bachelor of Science in Health Care Management. This program can be completed entirely online and provides students with important knowledge of the health care industry so they can pursue careers as mid-level managers in settings such as hospitals and ambulatory care centers. Students may choose to specialize in 1 of the 5 following tracks: clinical manager, general manager, pre-professional, long-term care administration, or health information or occupational therapy fast track. For admission consideration, prospective students must hold a high school GPA of 2.5 or higher. At Minot State University, students can pursue a Health Management Science Minor online. This minor is 24 credit hours and is available to non-nursing majors. Its purpose is to educate students on how to make informed decisions on personal health management. Students who enroll in this minor must complete a required course in stress management, which focuses on stress management techniques that can help achieve wellness. They are also required to choose from a variety of cultural diversity, developmental, health science and elective courses. Some examples of these courses include nutrition, ethnic and cultural diversity in America and pathophysiology. At Weber State University, students can earn an online Bachelor of Science in Health Services Administration that is accredited by the Association of University Programs in Health Administration. This program focuses on decision-making, individual and group behavior, the process of change, and organization design and culture. To be accepted, students must complete several prerequisites, including Medical Terminology, Integrated Anatomy and Physiology, and the Health Care System. After completing this 120-credit degree with a 2.75 GPA or higher, students may land leadership positions in health care settings, such as hospitals, nursing homes, rehab centers and skilled nursing facilities. 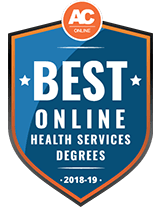 At the University of Wisconsin-Stevens Point, students have the opportunity to earn a Bachelor of Science in Health Information Management and Technology online. This 61-credit degree offers 2 tracks: health information management, which focuses on the business side of health care, and health information technology, which trains students on the technical aspect of health care. While the health information management prepares students to sit for the Registered Health Information Administrator, or RHIA, exam, the health information technology track gets students ready for the Certified Professional in Health Information & Management Systems and other health IT certification exams. Prospective students who are interested in enrolling are required to have approximately 60 transferable college credits with a minimum 2.0 GPA and complete prerequisite coursework in biology, college algebra and communications. Towson University gives students the chance to pursue a fully online Bachelor of Technical and Professional Studies in Allied Health. This program is ideal for students who hold an associate degree in an allied health discipline as it can allow them to further their careers. There are 6 available tracks, including administration and management, advanced respiratory therapy, family studies, education, science and professional preparation, and health promotion, wellness, prevention and community health education. While students are permitted to transfer up to 64 credits from regionally accredited community colleges, they are required to complete the non-completed core curriculum courses at Towson University. University of Minnesota Crookston offers an online Bachelor of Applied Health. This 120-credit-hour program helps students learn how to be leaders in the health care industry. To enroll in this degree, students must complete an associate degree in a health care field. Several examples of required courses include Risk Management in Health Care, Introduction to Health Information Systems and Decision Making in Health Management. After graduation, most students pursue careers in health care environments that value clinical expertise, such as allied health and governmental regulatory agencies. Exceled in information technology; volunteered at local hospital. Completed four-year bachelor’s degree in health administration. Worked as night manager at 24-hour urgent care clinic. Completed online master’s while continuing to work at clinic. Took a job at regional hospital system managing outreach to rural populations. Got promoted to executive role coordinating all outpatient programs between hospitals. Whether they work as an administrative professional in an office or as a floor nurse in a hospital, working people often need a flexible educational schedule to accommodate their jobs. Online programs in health services make it much easier for working professionals or busy parents to achieve their educational goals. Since these degrees generally require little if any labs or fieldwork, students can usually complete their degrees entirely online, working at their own pace as long as they meet assignment deadlines. The online degree program is typically comprised of online lectures and presentations, as well as a virtual dashboard where students can interact with instructors and other students. Participating in online discussion forums and submitting assignments through a dedicated portal are common elements of an online degree program, so students need to be comfortable communicating online, downloading materials for various projects, and conducting independent research on the Web. Depending on the degree level, students should expect to spend at least two years, and up to seven, obtaining their education in healthcare services. Once all required courses are complete, some schools may assist with job placement opportunities and provide other resources to students. A bachelor of science in health services administration is a comprehensive four-year degree program that prepares students for entry-level careers in the field. Students take courses that introduce healthcare administration and managed healthcare programs, as well as cover topics such as the evolution of healthcare delivery and ethics in the field. Most programs also include some business courses, such as financial management and business statistics. A natural science course with a lab element may also be included; students may do the lab work on the school’s campus or at another location. In some cases, this component may be completed offline by submitting photographs and videos of hands-on projects. A graduate degree in health services administration gives students the skills to conduct research and interpret data related to health policies. They learn how to make policy decisions that affect clinical care, and will work with advisers and mentors to complete a thesis. In most cases, students need to submit a thesis proposal by the end of the first year of the program. Advanced courses center on the economic and political environments of healthcare, healthcare policies, and research studies. Individuals who are interested in a leadership role in the field of healthcare administration, or who want to engage in scientific research, can complete a doctoral program that focuses on an area such as community health, healthcare administration, or public health policy. Programs typically include foundational courses, core courses in research, specialization courses and electives, and a dissertation; completing a master’s degree first can shorten the time needed to obtain a PhD. An analysis of public healthcare policies that govern various organizations and institutions across the country. Students examine various policies in detail and evaluate their impact on how healthcare services are delivered. A look at identifying target markets, developing healthcare marketing plans, and implementing marketing strategies across healthcare organizations. Students learn the key principles, strategies and methods for marketing healthcare services. Covers research methods and data analysis processes used in the healthcare field. Focuses on the skills necessary to formulate research hypotheses, review data critically, and conduct high-level research. Because many healthcare administrators and managers lead teams, this course trains students in the key principles of leadership in a healthcare organization. This course outlines common issues encountered in various healthcare settings, both public and private, and explores effective ways to solve problems legally and without compromising ethical standards. Decide which type of degree and level of education suits your career and personal goals. Undergraduate health sciences degrees allow graduates access to entry-level and mid-level jobs, while graduate-level students are prepared for leadership roles, teaching, and research-oriented positions. Determine whether the school offers job-placement assistance programs, internships, or fellowship opportunities. Education and training can go a long way, but nothing compares to real-life work experience in health services. Accreditation is a vital factor in selecting a program, as it holds schools and individual programs to high standards and ensures a quality education. In today’s competitive job market, employers seek out candidates who have graduated from accredited institutions, and may not even consider those who have not. Students planning to enroll in a health services administration degree program should ensure the school is accredited by the Council on Education for Public Health (CEPH); graduate students should also look for programmatic accreditation from the Commission on Accreditation of Healthcare Management Education (CAHME). The Council on Education for Public Health accredits institutions that prepare graduates for public health practice in local, state, national and international settings. CEPH accreditation signifies that the school has maintained a high level of excellence in education and met all CEPH criteria. The Commission on Accreditation of Healthcare Management Education (CAHME) is committed to advancing the quality of healthcare management education by setting criteria for educational standards, assisting and advising programs to ensure continual improvement, and accrediting graduate programs that meet or exceed the criteria. Submit application for the Graduate Records Examinations (GREs) given in October. Submit requests for undergraduate transcripts to be sent to prospective programs. Request letters of recommendation from professors and other academic advisors. File the FAFSA application and other required documents. Sit for department interviews. Accept program of your choice and decline other offers. Network with peers, professors, and professionals in your area to learn more about the field and make connections that can lead to shining letters of recommendation. Volunteer at a clinic or with a health-related agency such as the Red Cross or PATH over summers or semester breaks. Take a standalone online class from a group such as the World Health Organization (WHO) or the American Medical Association (AMA) to learn more about the field. Many classes are free. Joining a student organization or club that focuses on public health demonstrates passion for the field and collaborative thinking. Taking leadership roles in such an organization is a major plus. Health service managers, administrators and executives are responsible for developing and executing strategies that help a healthcare organization run smoothly and achieve operational goals. They must have a comprehensive knowledge of healthcare laws and regulations, an understanding of current technologies, and strong communication and leadership skills. Most work in the offices of a healthcare facility, such as a hospital, nursing home, clinic, or a medical practice. The U.S. Bureau of Labor Statistics reports that job growth for medical and health services managers is expected to be much faster than average through 2024, with a projected increase of 17 percent. That translates to more than 56,000 jobs being added to the market, bringing plentiful opportunities for healthcare managers and executives. Those with advanced degrees and several years of experience may find the job forecast even brighter. Within the field, professionals can specialize in a number of different areas or environments. For example, it’s possible to work for a government agency developing public health policy, for a major hospital focused on marketing strategies, or at a long-term care facility finding ways to deliver efficient, cost-effective care. Below are some example careers in the field. This elite certification validates proficiency and commitment to the profession, and can be acquired by taking the AAHAM certification exam. This nationally recognized professional certification is aimed at office managers working in a medical practice or healthcare setting. Designed for healthcare administrators with at least a bachelor’s degree, this certification requires candidates to pass the Board of Governors Examination in Healthcare Management to advance to fellowship status, as well as to participate in various activities. Individuals who work primarily with hospital accounts can seek this certification to boost their resumes. Takes an in-depth look at theoretical and practical issues affecting the nation’s healthcare system, as well as common challenges that individuals and communities face. Graduate degrees prepare students for a career in teaching, counseling or consulting. Studies food from a scientific perspective and how food affects the body. Programs prepare students to serve as nutritionists who advise individual clients or communities on how to meet their nutritional needs effectively and make sound choices at every stage of life. Comprehensive, science-based programs that focus on human biology, quantitatie methods, nutrition, neuroscience and physiology. Students are prepared for careers in medicine, public health or research.